‘I recently received a pre-publication copy of White King and Red Queen by Daniel Johnson. In it I read (page 11) that “Rubinstein’s sanity, always precarious, gradually left him and he spent his last 30 years in a sanatorium”. A similar claim was made in another recent book, The Immortal Game by David Shenk, which stated (page 143) that “... [Rubinstein] spent the last 30 years of his life in a mental institution”. I was surprised both by these claims and the similarity between them (the precise 30-year figure). 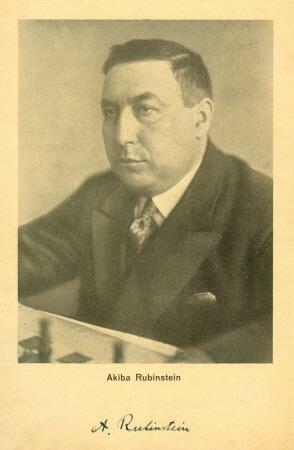 ‘Nor was this writer more successful five years later when he made the trip from Amsterdam to Brussels in order to invite Rubinstein to a tournament in Holland. This last meeting with the grandmaster (as it proved to be) was but brief. For Mrs Rubinstein warned beforehand: if a visitor doesn’t leave soon, Rubinstein himself might leave, possibly through the window. Another World War broke out, and Rubinstein, although now living at the other end of Europe, came again under German occupation, this time a much more dangerous one. But, miraculously, he survived, even without any extra effort. When they came to fetch him and asked whether he was willing to work for Germany, he simply said yes, and that seems to have frightened them. At any rate, they withdrew and left him alone for the rest of the War. It happened in Belgium, after all, where the Germans, as in Denmark, showed some restraint in return for the King’s capitulation. 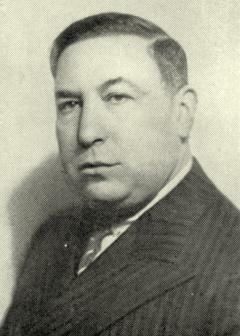 Kmoch, whose account indicated that his last personal meeting with Rubinstein was in 1936, did not specify the provenance of the details concerning the remainder of Rubinstein’s life. 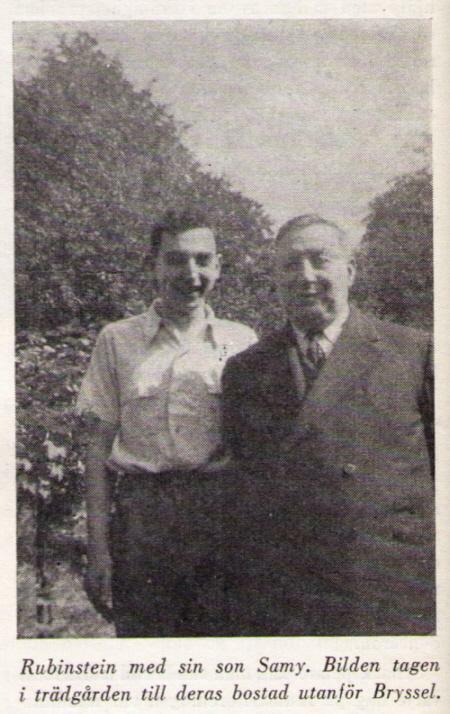 In short, after asserting that he was an exception in being allowed into the Rubinsteins’ home Najdorf said that after the Nazis invaded Poland Rubinstein expressed delight when invited to work in a concentration camp. The Gestapo thus concluded that Rubinstein was truly insane, and the master avoided going to a death camp. 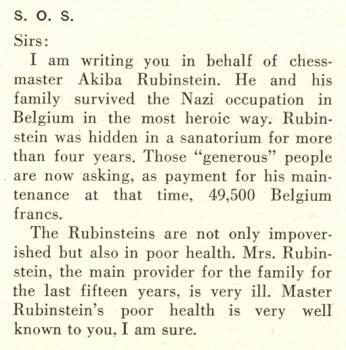 The fact that Rubinstein was in Belgium, not Poland, during the Second World War, apparently passed Najdorf by. ‘The family lived together (A.K.R.’s wife having opened a restaurant in the early 1930s) until 1942. S.R. spent 1943-44 in the hands of the Germans. After the death of his mother, S.R. suffered a depression and spent three-four years in a psychiatric institute. ‘The Rubinstein family moved to Antwerp in 1926. ... The final Rubinstein home was Brussels. The family went there in 1931 after Akiba retired from tournament play. The Rubinsteins moved into an apartment directly above a restaurant that Eugénie operated. 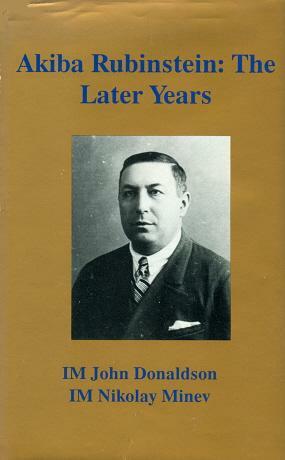 The above biographical information was obtained by John Donaldson during a visit to Jonas Rubinstein and his wife in Charleroi, Belgium in 1995 (as noted on page 290). That is indisputable. Much about the last 30 years of Rubinstein’s life is unclear or unknown, but it is evident that for most of that period he lived at home, and not in a sanatorium or mental institution. Our correspondent notes that Sosonko’s book has no bibliography and does not specify the source of the above information. ‘In his book Dykteryjki i ciekawostki szachowe (Warsaw, 1971; second edition, Warsaw, 1974) the Polish chessplayer and author Władyslaw Litmanowicz gave an account of his visit to Akiba Rubinstein in June 1957, at an old people’s home in Brussels (“Maison de retraite pour vieillards – A.S.B.L.”). He stated that Rubinstein had arrived there two years earlier, after the death of his wife, and lived in a room for eight, sharing with two persons. Though surprised by the unexpected visit, Rubinstein received his guests dressed in a well-tailored suit, with the appearance of an elegant elderly gentleman. He sported a large beard, and invited his visitors to speak in the language of their choice: Polish, Russian, German or French. 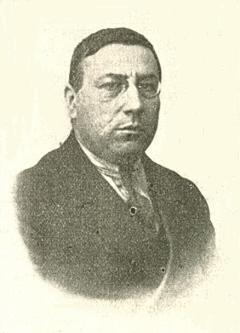 Litmanowicz conveyed to Rubinstein the greetings of Kazimierz Makarczyk and Marian Wróbel, and informed him of the recent deaths of Tartakower, Regedziński and Důras. 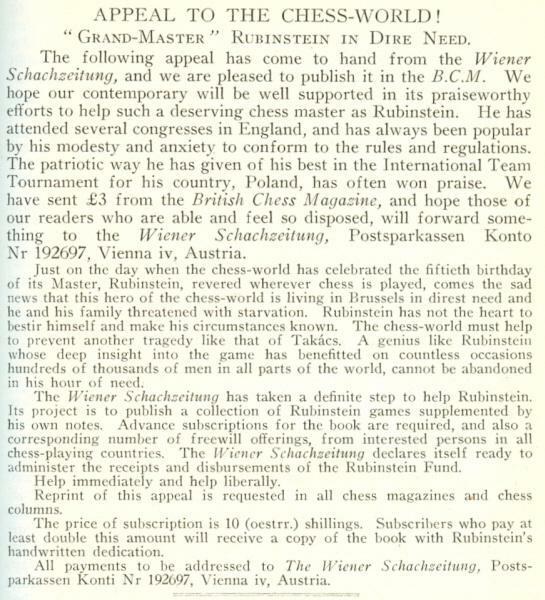 Rubinstein was not aware of Smyslov’s victory over Botvinnik for the world championship and refused to play a game against his guest. He did, however, analyse two studies by Důras with much interest. c) a Jewish old people’s home exists, still today, at rue de la Glacière 31-35 in Brussels. Our correspondent asks how the discrepancy between Antwerp and Brussels is to be explained. Did either O’Kelly or Devos write any articles about their meetings with Rubinstein? 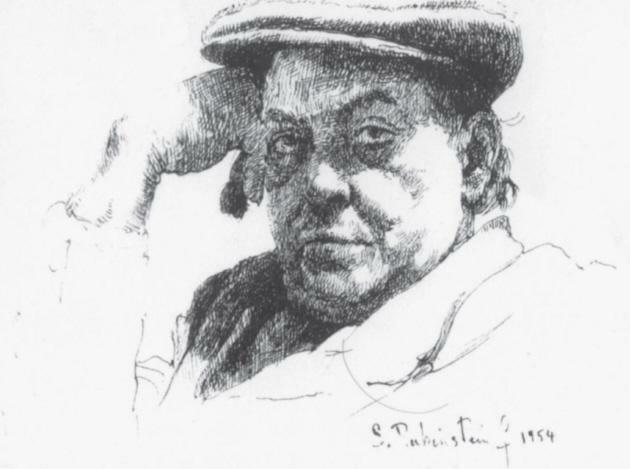 This sketch of A. Rubinstein by his son Sammy is reproduced courtesy of John Donaldson (Berkeley, CA, USA). It appears on page 380 of the 2011 monograph which he co-wrote with N. Minev (C.N. 7572). To summarize: During the Second World War and until Rubinstein’s wife died, O’Kelly played several dozen games against Rubinstein, some of which featured the ‘Symmetrical Defence’ to the Queen’s Gambit, an opening which O’Kelly then analysed and played himself. 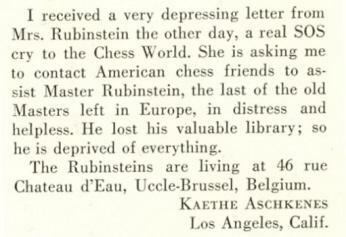 As a widower, Rubinstein spent his final years in an old people’s home, no longer using a chess set but regularly analysing without a board. He remained almost silent, as if wishing to prepare himself for death. Latest update: 29 August 2018.